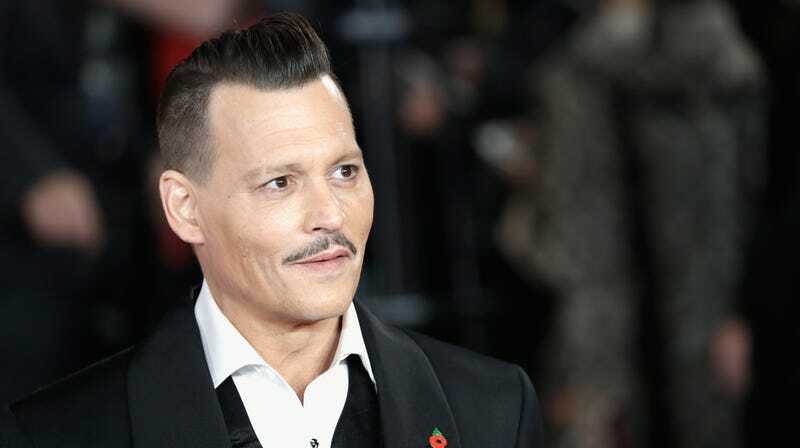 According to Entertainment Weekly, Johnny Depp’s City Of Lies—in which he plays an LAPD detective investigating the murder of the Notorious B.I.G.—has been quietly pulled from distribution company Global Road’s schedule. The film was set to get a wide release on September 7, so this seems like a fairly last-minute decision, but so far nobody involved in the production has offered an official reason for why City Of Lies won’t be making its release date. On top of that, it still doesn’t have a new release date, meaning it’s unclear when it will ever be released. We may not know what’s specifically going on here, but it’s not the first issue Depp and City Of Lies have had. Just about a month ago, Depp was sued by a City Of Lies location manager named Gregg “Rocky” Brooks who claimed that Depp punched him in the ribs when he tried to explain that their permits had expired and they had to stop filming for the night. Brooks said in his suit that he could smell alcohol on Depp’s breath, and he was fired from the project a few days later when he refused to sign away his right to sue. Then there’s the fact that Depp was accused of abusing his ex-wife Amber Heard, which everybody working on the Fantastic Beasts movies is apparently totally fine with. Whatever the reasoning is, it’s probably not a great time to release a Johnny Depp movie anyway.